The online hosting industry has undergone significant changes in recent years. Increasing numbers of business owners are opting away from traditional Internet hosting in favor of cloud service. If you are looking for a hosting service that is versatile, convenient and cost-efficient, you should consider cloud service when choosing a new hosting provider. Several important characteristics of cloud services set them apart from traditional hosting providers. The virtualization layer of a cloud service, also called the infrastructure layer, is the product of numerous operating systems that have been installed as virtual machines. A hypervisor, also known as a virtual machine manager, is another prominent part of cloud hosting. It is a program that permits several operating systems to share one hardware host. A hypervisor ensures the efficiency of the entire process by allocating resources to each operating system as they are needed. It also ensures that the multiple virtual machines do not interfere with each other. As a business owner with a significant online presence, you will find these components work together seamlessly to maximize the use of each system, enhance scalability and reduce overall costs for your business. The growing popularity of cloud hosting also has changed the role of storage area networks (SANs) in the industry. In the past, businesses usually purchased a series of individual physical servers connected to SANs. The rise of cloud hosting has led to a move toward cost-efficient modular systems that encompass enough power to efficaciously operate a business’s applications. If reliability and low rates are major considerations for your business’s online presence, you will discover that a public cloud server offers an impressive range of benefits. In the most general terms, a public cloud service provider sells cloud computing services to individuals and businesses online. As a business owner, you will find cloud computing services particularly valuable in ensuring that your online applications run consistently and efficiently. Another advantage of cloud hosting is the ability to ramp up or reduce your business’s virtual machine resources on the fly. This process eliminates the hefty costs related to shifting from one dedicated server to another. Fast provisioning is a feature of cloud computing that uses linked clones in virtual machine provisioning operations. Linked clones are copies of virtual machines that share a base disk with the first machine. This technique will help you save time and space in your operations. Keeping applications up and running is a vital consideration for many businesses involved with cloud hosting. Quick failover, which refers to a fast and seamless switch to a new server in the event of a system failure, ensures that your customers will enjoy uninterrupted access to your online business. 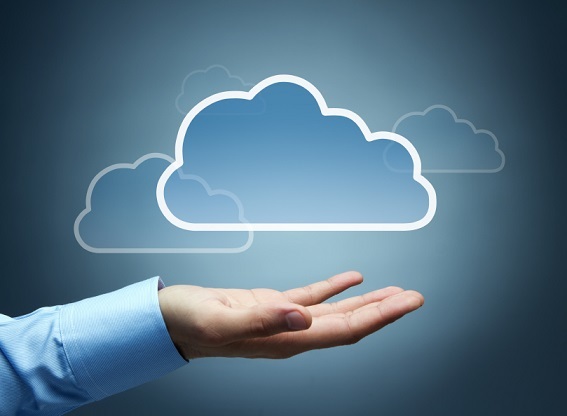 When considering a cloud service for your hosting needs, also take elasticity into account. Cloud hosting gives you the ability to scale up or down quickly to meet the demands of your customer base. This feature saves your business money and allows you to pass along the added value to your customers.